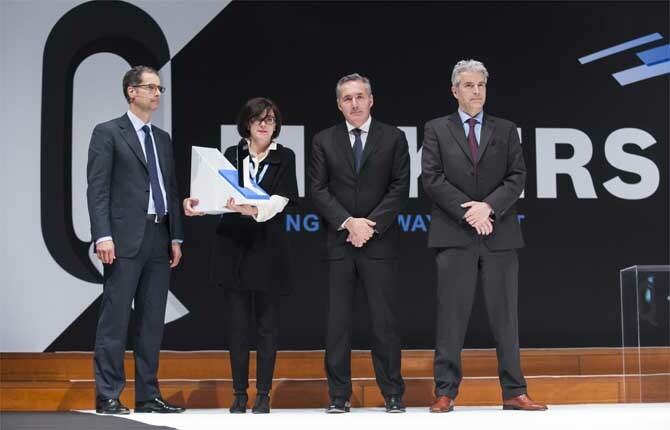 The prestigious "Partner of the Year" was awarded to Ciem, during the "Supplier Qualitas Convention" in Turin. April 2015: CIEM MADA FRANCE acquires important orders in assembly and bodyshop in Renault plant in Flins for the introduction of new Nissan Micra. February 2015: CIEM MADA AUTOMATION SPAIN moved to a new head office. About 2500 m² between offices and workshop available to the Company. December 2014: Acquired important order for the modification of bodywork transmission lines General Motors Zaragoza. October 2014: New equipments will be supplied by CIEM MADA GROUP to the FIAT plant in Cassino for the production of the new ALFA ROMEO. For the new ALFA C-segment premium car, which will be produced in Cassino, FCA chose Group companies for skid, skillet and automotor transport both in bodywork that in the final assembly. August 2014: CIEM MADA lines delivered for new JEEP RENEGADE and FIAT 500X. 27/02/2014: Constitution of CIEM MADA RUSSIA. December 2013: Important orders defined with FIAT for final assembly both in Melfi that in Pernambuco – Brazil. In Brazil, PBS skid plants and, Trim and Final skillet lines will be provided by CIEM Spa, Doors and Seat automotor lines will be provided by MADA. Both will take advantage of the collaboration of CIEM MADA Do Brasil. In Melfi, Trim and Final lines will be provided by CIEM. Doors, cockpit, doors and shipping automotor lines will be provided by MADA. October 2013: Signed two important contracts with Avtovaz -Togliatti Russia (Renault Group) for the supply of a P&F in painting and a skid PBS-tristock installation in assembly shop. July 2013: Thanks to the agreement signed with GEICO TAIKISHA conveyor systems of the building of the new Fiat painting plant in Pernambuco Brazil will be CIEM MADA DO BRASIL. January 2013: CIEM MADA delivers to Renault new assembly and painting lines for the new Trafic. 10 January 2012: Cooperation Agreement with FATA AUTOMATION – INC USA. Messrs Orazio Vizzaccaro and Nicola Cipolletta for CIEM MADA and Mr Martin Write for FATA Automation INC–USA signed an important agreement for the definition and use of common technologies and synergies in support of material handling investments in North America. Fiat has officially inaugurated the new plant in Pomigliano D'Arco and commenced sales of the new Panda. A great success for high-tech facilities provided by CIEM MADA protagonists of the campaign advertising for the launch of the New Panda. December 2011: CIEM MADA first level supplier of RENAULT. Renault has chosen CIEM MADA giving important orders for the adjustment of their facilities in painting and final assembly shop of Sandouville plant. 24 August 2011: CIEM MADA SPAIN gets the quality excelence. 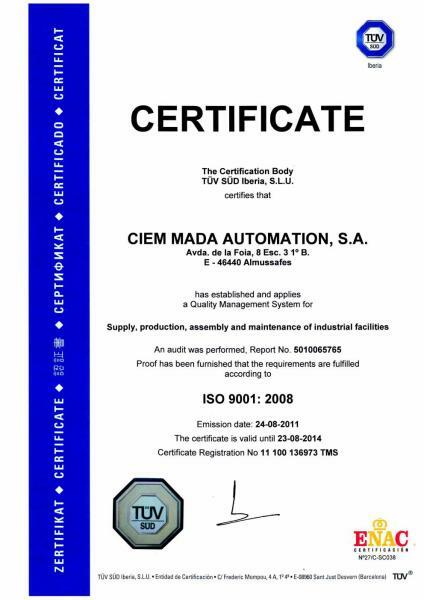 As a result of the constant search towards business excellence, Ciem Mada Spain has been awarded with the prestigious ISO 9001:2008 quality certificate, issued by the certification class company TÜV SÜD. A major milestone for the company, as it has meant the rehabilitation of most of the internal processes to meet all the requirements of ISO 9001:2008. July 2011: Constitution of CIEM MADA do Brasil based in Pernambuco. CIEM MADA Group lands in Brazil with the establishment of the new company. Fiat do Brasil has awarded important orders to the Group to improve the efficiency of the transport systems in the Assembly shop. 17 January 2011: CIEM MADA equipment in VW ARGENTINA. Volkswagen Argentina took delivery of the new equipment commissioned at Ciem Mada with a turn-key project for reconfiguration of the bodyshop transport systems at the Pacheco plant. The equipment includes a new skid line, storage buffer, and the revamping of the Automotor (EMS) lines, adding new cutting edge control boxes designed and manufactured by CIEM MADA SPAIN. 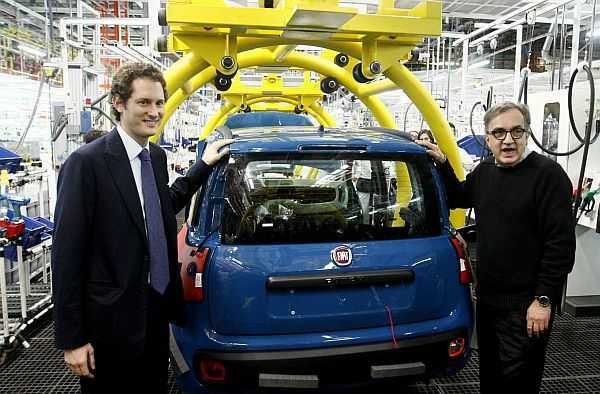 December 2010: Fiat chose CIEM MADA for its investments in Pomigliano and Serbia. 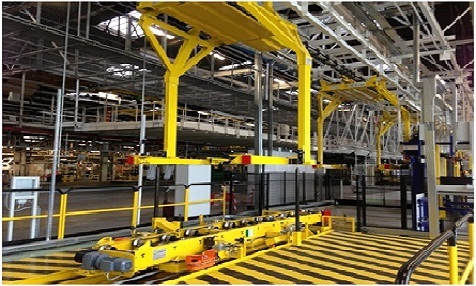 For their Pomigliano plant, Fiat commissioned Ciem Mada the transport system of the assembly shop . The whole system is composed by EMS, P&F , skillet and flat conveyors have to guarantee a production of 50 cars per hour at end line. Referring to Serbia Fiat commissioned CIEM MADA the auxiliary equipment (wheel, door, glass,cockpit, end line) of their assembly shop. 30 September 2010: AGV MADA at FIAT CASSINO. 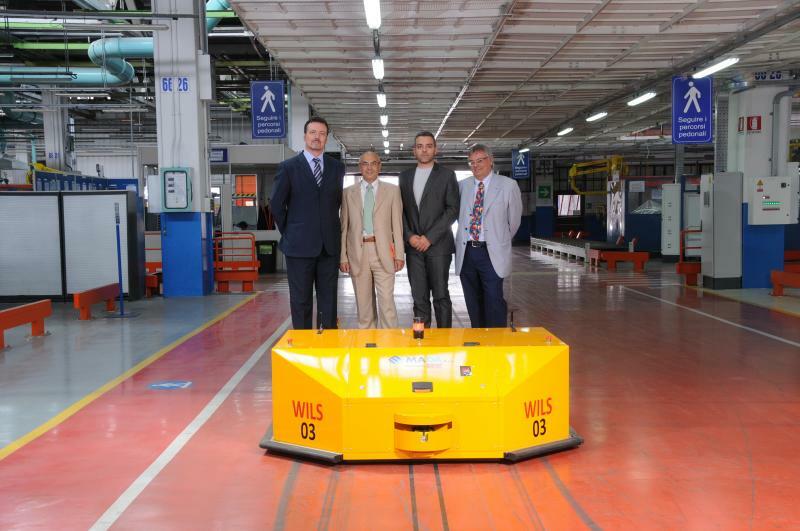 For their Cassino plant, Fiat commissioned MADA to supply an Inductive Power AGV system for loading and unloading component containers (Mod 940) from the semi-automated warehouse to the door assembly line of the bodyshop plant in Cassino. The AGVs use IPT technology provided by SEW and are the first AGVs installed in Fiat plants not requiring on-board batteries. Fiat took delivery of the first part of the EGVs system. The whole system will be in production at the end of March 2011. Delivery of the first AGV was made September 30, 2010. The entire system, comprised of 10 AGV on a complete circuit of 700 meters, will be completed by March 2011. 23 August 2010: CIEM MADA delivers to Fiat Auto Poland two new equipments. Delivered to Fiat Auto Poland new equipment for the Bodyshop Chassis Skid Line and 6" P&F Final Assembly New Chassis Line. This new equipment will be used for the production of the new Lancia Y in the Tychy plant, which also produces the Fiat 500 and Ford Ka models. Previously, the Group had already provided Fiat Auto Poland with other plant and equipment, including: Automotor (EMS) bodyside conveyor, body and doors weld lines and skid system delivery from bodyshop to paintshop, and a sunroof skid line for the Fiat 500. The Ciem Mada Group, working together with its subsidiary CIEM MADA POLAND, is playing an important role to provide highly efficient plant and equipment for the high quality production in Fiat's plant in Poland. In light of the prospects and the opportunities offered by current investments in the former Yugoslavia, and especially by the investments planned by Fiat at the Kragujevac plant in Serbia, the Group decided to create CIEM MADA Serbia. Mr Nebojsa Misic and Mr Milutin Sremcevic have been appointed local managers. They will lead the company under the general direction of Orazio Vizzaccaro and the commercial direction of Giuseppe Orlando. January 2010: All property rights and know-how by Fata Automation become the property of the CIEM MADA Group. John Murray has been appointed commercial manager of our English subsidiary. He will work together in a team with Technical Manager, Ian Dale; Project Manager, Ian Buchan; Installation Manager, Bob Fatica and Financial Controller Roger Bass. Nicola Cipolletta has been appointed General Manager.